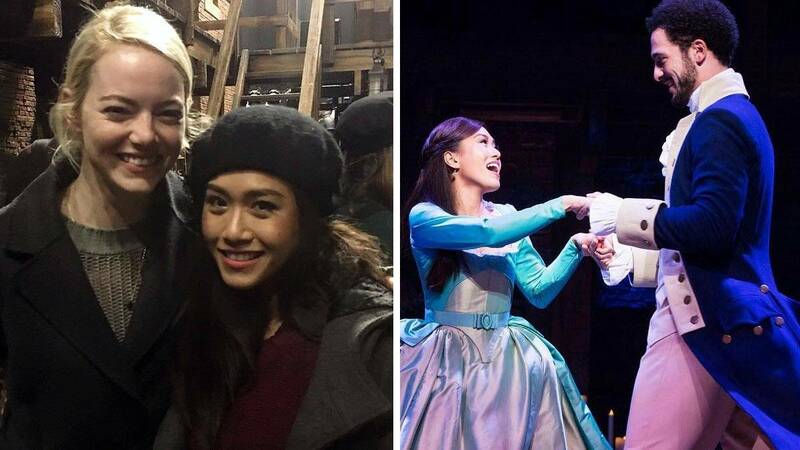 Singer and theater actress Rachelle Ann Go recently posted a picture of her with Oscar-winning Hollywood A-lister Emma Stone hanging out backstage of the West End production of Hamilton. The La La Land actress apparently watched the musical in which Rachelle stars as Eliza Hamilton. Rachelle, of course, couldn't help but fangirl over the encounter. Writing on Instagram, she said: "I adore her so much!!! Thank you for coming to see @hamiltonwestend #EmmaStone"
Rachelle officially joined the Hamilton cast in January after starring as Gigi in Miss Saigon and Fantine in Les Miserables.